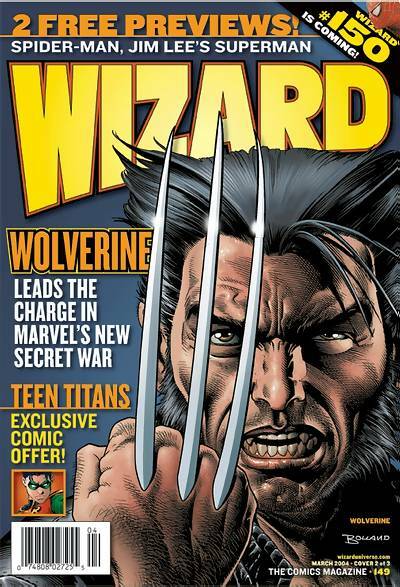 Just a day or two after the Comic Code went under, Wizard Magazine has gone under as well. 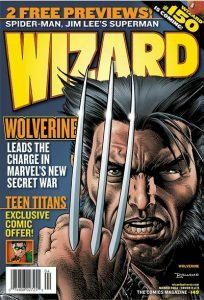 For those of you who don’t know what Wizard Magazine is, Wizard is a publication company that puts out a monthly magazine that covers all areas of comic books. It has stories, interviews, price guides, and much much more. Wizard also puts on giant comic book conventions around the world. Toyfare magazine is a branch of Wizard and is included in this. In an offical press release by Wizard, the CEO confirrmed that Wizard and Toyfare has been shut down, but it is a publicly trade company now and they will be the producers of the Wizard Comic Con tour. Also, there will be a digital online Wizard Magazine starting sometime this year. Statements in this press release relating to Wizard World’s future plans, expectations, beliefs, intentions and prospects are “forward-looking statements” and are subject to material risks and uncertainties. When used in this press release, the words “will”, “future”, “expect”, “look forward to”, similar expressions and any other statements that are not historical facts are intended to identify those assertions as forward-looking statements. Any such statement may be influenced by a variety of factors, many of which are beyond the control of Wizard World that could cause actual outcomes and results to be materially different from those projected, described, expressed or implied in this press release due to a number of risks and uncertainties. Accordingly, no assurances can be given that any of the events anticipated by the forward-looking statements will transpire or occur. A detailed discussion of these factors and other risks that affect our business is contained in our SEC filings, including our most recent reports on Form 10-K and Form 10-Q, particularly under the heading “Risk Factors.” Copies of these filings are available online from the SEC or by contacting Joe Favorito at (917) 566-8345 or fatherknickerbocker1@yahoo.com. All information set forth in this press release is current as of January 24, 2011. Wizard World undertakes no duty to update any statement in light of new information or future events. I remember stuff happening for the worst back in 2008 when I had my shop at the last ever Wizard World Dallas comic con. My sources told me that the new CEO has burned so many bridges with big comic companies…mainly MARVEL & DC…that at that Dallas convention, Marvel and DC were nowhere to be found. This delivered the final blow to Dallas Wizard World due to miniscule attendees. How can you put on a comic book convention without Marvel and DC? — Thanks JustinS. for the tip. This entry was posted on Monday, January 24th, 2011 at 3:08 pm	and is filed under Comics, News. You can follow any responses to this entry through the RSS 2.0 feed. You can skip to the end and leave a response. Pinging is currently not allowed. « “The Walking Dead” to Become a Video Game Possibly!!!! !